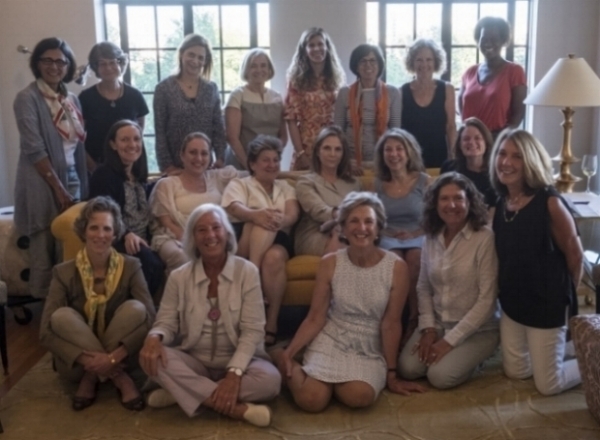 The Beacon Group is a community of women committed to enhancing the lives and opportunities of underserved populations in the NYC area through grant making. We pool our resources to leverage our financial support of small not-for-profit organizations in the five boroughs where we can make a difference. Our collective philanthropy contributes to the support and viability of local initiatives with annual grant awards. We came together as a giving circle in 2010 and made our first grants in 2011. From 2011 through 2018 we have provided over $1,000,000 in support of 87 organizations. The diverse grants include: initiatives providing mentoring for at-risk, inner-city youths in technical, art and basic educational skills; support of foster children; soup kitchens; afterschool and summer programs for underserved children (sports, academics, and more); prison literacy; programs that provide former inmates with craft and work skills; urban farms; programs that support refugees and recent immigrants; and programs serving women who have been victims of violence or abuse. Modeled on a traditional giving circle, group members each contribute $5,000 per year. The pooled resources are used to provide grants to small not-for-profits with grants generally ranging from $5,000 to $20,000. We make grants to local New York organizations supporting underserved populations. Members meet four times in each grant-making year, starting in September and ending in June when we make grant decisions. Individual members and other groups bring nonprofits to our group’s attention. Once we have done a preliminary review of websites and other available materials, we ask up to twelve non-profits to complete our grant application. We then visit each organization, with at least two Beacon group members on each site visit. Each site-visit team provides a written report back to the group with findings and a grant recommendation. As a group, we make grant allocation and award decisions at our final June meeting each year. We generally fund between eight and twelve entities a year with a focus on smaller non-profits which serve underserved populations where we feel our support will make a significant difference. Stephanie Abramson, Sandy Baron, Laurie Becker, Stacy Caplow, Jan Constantine, Lani Doktori, Susan Egbert, Lucy Fato, Nancy Heller, Sarah Jones, Michelle Kelban, Meredith Kornreich, Margie Lyons, Rona Nelson, Janet Nova, Pat O'Byrne, Hollis Rafkin-Sax, Renee Ring, Jill Salberg, Cathy Schoen, Nancie Schwarzman, Jennifer Selendy, Nadine Shaoul, Beth Sheehan, Pam Sloan, Carla Solomon, Deirdre Stanley, Deb Van Eck, and Janet Yearwood.